This widely recommended magnetic building toy is very cool, but I still think it is overpriced. To be fair, the tiles will last a long time and they are great for a wide range of ages, making them an excellent family toy. I’m grateful that we received the 100 piece set as a gift, but I don’t think I would pay over $100 for it. Also, my first 2 kids did not really enjoy them that much when they were toddlers. They preferred our Magformers. 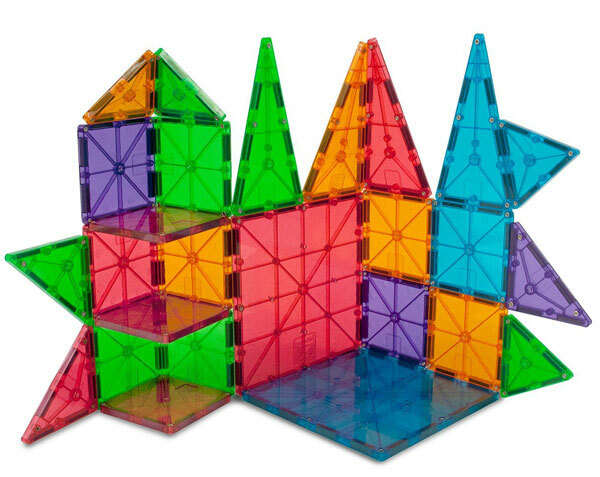 The Magna-Tiles are great for making large structures, while the Magformers are better for making 3-dimensional forms you can hold in your hands. My first 2 kids were easily frustrated when the Magna-Tile shapes they tried to build broke apart in their hands. To be fair, I probably would not drop $100 all at once on Magformers either, but I’ve ended up spending over $100, by buying sets a little a time. Now we have about an equal sized set of Magformers and Magna-Tiles for about similar prices total. 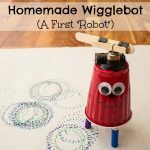 It turns out that kids really just need to get used to playing with the different types of magnetic toys for them to be fun. My current 2 year old has loved them for over a year. He plays with them several times a week and can make some pretty incredible structures for someone so small. I recently gave him the Magformers and, being so used to the Magna-Tiles, he was very frustrated that *those* didn’t behave the way he was accustomed to. It seems both magnetic toys are great for all ages, but owning both can cause some difficulties for young kids. Anyway, since the toddler frequently likes to spread the Magna-Tiles all over the floor and leave them there, my 4 and 6 year olds have re-discovered their love of them as well. They like to build bridges and forts for their action figures and castles for their dolls. After 4 years of being stepped on bashed around, I’m pretty sure these tiles are indestructible. Probably the best aspect of these toys though is that they can be packaged in a small, dense box (about the size of a shoe box). Our house is so overrun with toys, I love that they don’t take up much space. 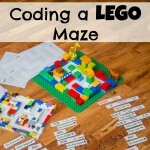 Also, they are a great toy to bring out when multiple kids are going to be playing together. I’ve brought them to grandparent’s houses and yoga class so that all the kids could entertain themselves. Once I leant them to my sister when she babysat for a family with lots of kids. 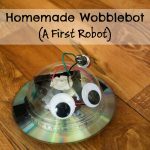 They are basically a great, foolproof toy for keeping kids engaged for a surprisingly long amount of time.